As a boy completes the requirements for each adventure he earns an adventure sticker (not an adventure loop). When a boy has completed all 5 adventures, he has earned his LIon rank emblem. Boys advance to the next rank on June 1st. 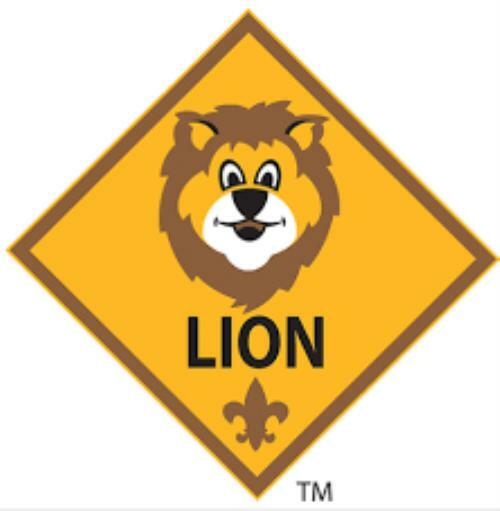 Visit http://www.scouting.org/filestore/pdf/Lion_FAQs.pdf for more info. 2. Complete one Tiger elective adventure of his den or family’s choosing. As a boy completes the requirements for each adventure he earns an adventure loop and an adventure pocket certificate. 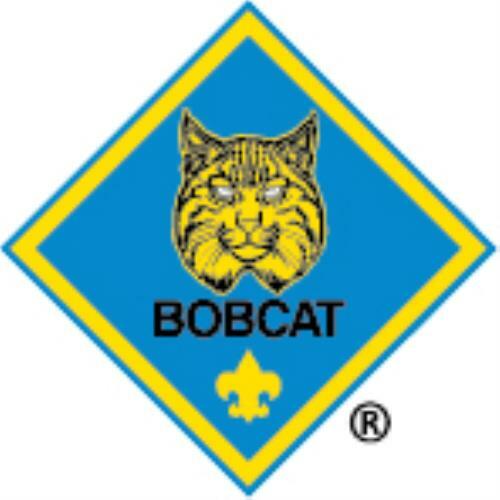 Adventure loops are designed to be worn on the Cub Scout belt. 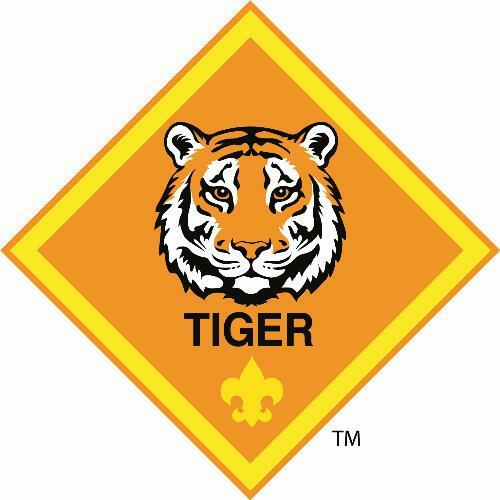 When a boy has completed all 7 adventures, he has earned his Tiger rank emblem. Boys can continue to complete Tiger elective adventures to earn adventure loops until the end of the program year on May 31st. Boys advance to the next rank on June 1st. 2. Complete one Wolf elective adventure of his den or family’s choosing. 3. With his parent or guardian, complete the exercises in the pamphlet How to Protect Your Children From Child Abuse: A Parent’s Guide, and earn the Cyber Chip award for his age. As a boy completes the requirements for each adventure he earns an adventure loop and an adventure pocket certificate. Adventure loops are designed to be worn on the Cub Scout belt. 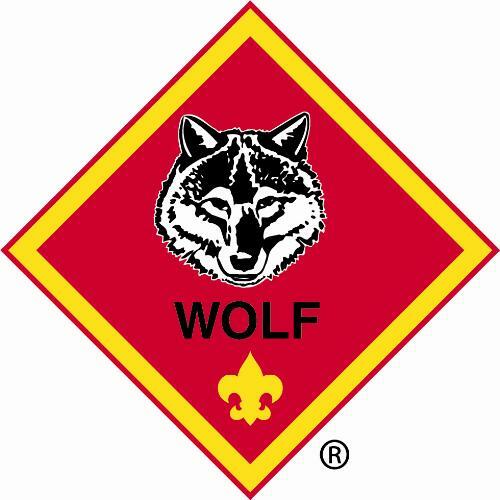 When a boy has completed all 7 adventures, he has earned his Wolf rank emblem. Boys can continue to complete Wolf elective adventures to earn adventure loops until the end of the program year on May 31st. Boys advance to the next rank on June 1st. 2. Complete one Bear elective adventure of his den or family’s choosing. As a boy completes the requirements for each adventure he earns an adventure loop and an adventure pocket certificate. Adventure loops are designed to be worn on the Cub Scout belt. 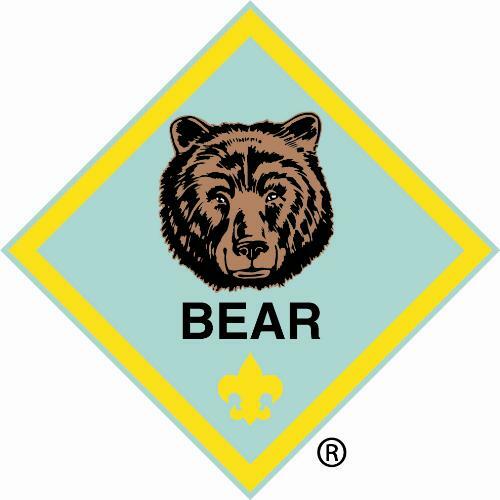 When a boy has completed all 7 adventures, he has earned his Bear rank emblem. Boys can continue to complete Bear elective adventures to earn adventure loops until the end of the program year on May 31st. Boys advance to the next rank on June 1st. Boys are in a Webelos Scouts den for 2 program years. The first year they work on their Webelos rank requirements. The second year they work on their Arrow of Light rank requirements and crossover to Boy Scouts. 3. Complete two Webelos and Arrow of Light elective adventures of his den or family’s choosing. 4. With his parent or guardian, complete the exercises in the pamphlet How to Protect Your Children From Child Abuse: A Parent’s Guide, and earn the Cyber Chip award for his age. As a boy completes the requirements for each adventure he earns an adventure pin and an adventure pocket certificate. Adventure pins are designed to be worn on the Webelos colors or on the front of the Webelos cap. 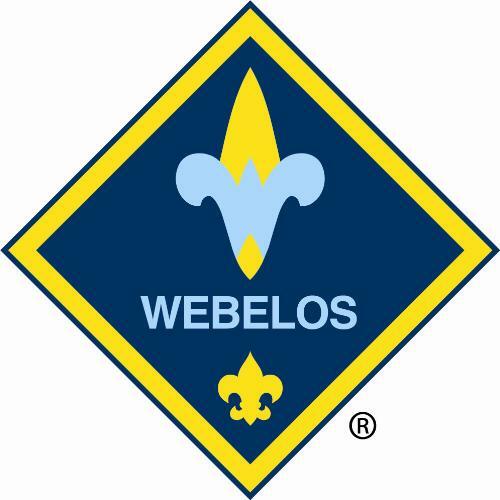 When a boy has completed all 7 adventures, he has earned his Webelos rank emblem. Boys can continue to complete Webelos and Arrow of Light elective adventures to earn adventure pins until the end of the program year on May 31st. Boys advance to the next rank on June 1st. 3. Complete three Webelos and Arrow of Light elective adventures of his den or family’s choosing. As a boy completes the requirements for each adventure he earns an adventure pin and an adventure pocket certificate. Adventure pins are designed to be worn on the Webelos colors or on the front of the Webelos cap. When a boy has completed all 7 adventures, he has earned his Arrow of Light rank emblem. Boys can continue to complete Webelos and Arrow of Light elective adventures to earn adventure pins until they crossover to Boy Scouts. Boys typically crossover to a Boy Scout troop as a den some time before the end of the program year on May 31st.